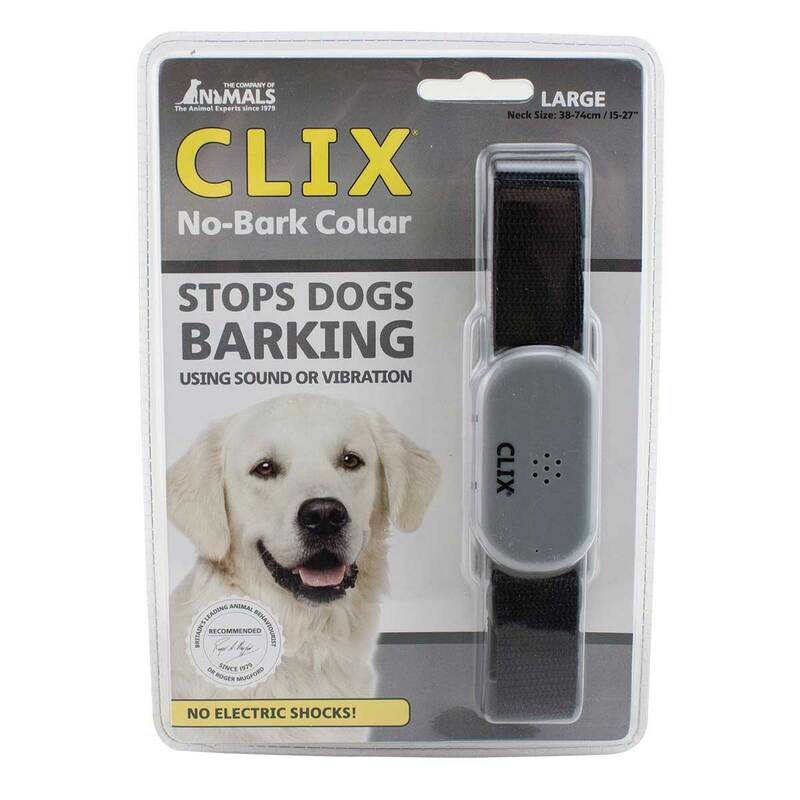 The Clix No-Bark collar has a microphone which detects barking and automatically emits either a sound or a vibration to interrupt the dog's barking. The small collar has 2 levels of sensitivity (low and high). The Large has 3 levels (Low, Med, High).